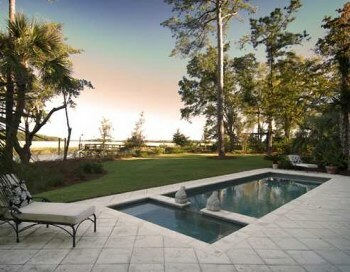 Outdoor Living Areas- We bring the inside out! Handfound Originals - Outdoors by KB Builders Inc specializes in creating unique breathtaking one of a kind outdoor living environments for many of the area’s most prominent homeowners and businesses. From the initial concept through the entire construction process, Handfound Originals - Outdoors by KB Builders Inc. will be working with you to ensure that your project is installed on time and in a professional manner unmatched by anyone else in the industry. We prefer to be the only contact for the construction of your entire outdoor environment; by giving us full management control of the project, this allows us bring projects to a close on time and provides our customer with a stress free experience. 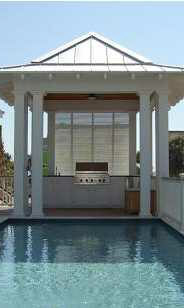 We design and build and renovate the most beautiful custom swimming pools and luxurious spas. 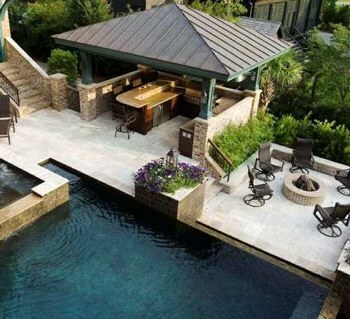 We also install , cabanas, fountains, waterfalls, ponds, statuary, custom slides, patios, outdoor kitchens and decks to complete your perfect poolscape. However, we don't stop there...to finish off your project, we offer landscaping with the just the right plantings, landscape lighting to create comfortable or intimate atmospheres and the systems needed to keep your environment safe and healthy to complement your project. Call 813-360-3151 or 727-400-9660 for your Free Estimate. 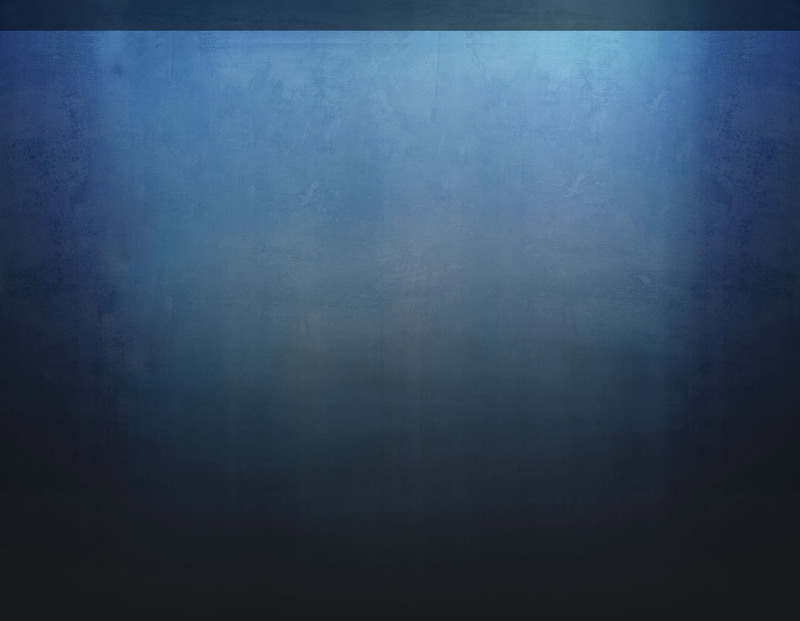 KB Builders Inc. is an insured and licensed (#CBC1252759) Florida state building and Remodeling contractor. We will handle not only the design phase of your outdoor project, but each step till its completion. At your site or home, we'll discuss your vision for a new outdoor living space and review various options for construction, materials and scheduling. We will also address any budgetary questions you may have. Next we will establish a start date and time line. We'll provide plans for your approval and contact our suppliers to confirm material availability. At that point, we'll ask for formal acceptance of the design and materials as well as a down payment. We will arrange for all buried utility lines and, if necessary, work with you to locate septic and other underground systems. We will acquire all necessary permits. Our crew will work in a professional manner and maintain a safe work environment. We'll keep you apprised of the schedule and notify you prior to the arrival of contractors or materials. 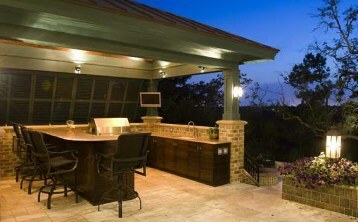 Upon completion, our crew will clean up the job site so you can enjoy your new outdoor living space! 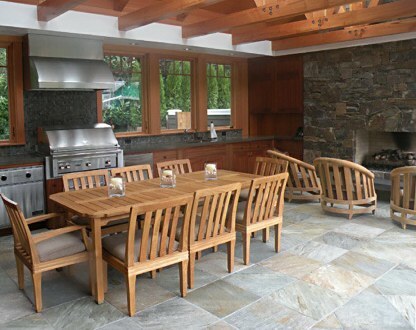 Today, outdoor living design is all about extending your indoor living space to the outdoors. Designing an outdoor living area will not only create extra space for your family to enjoy but it is also one of the best ways to increase the value of your home. Our team of landscape designers have the skills and tools to create an outdoor environment that will meet your unique needs. Our designers and project managers can integrate your style with our cutting edge design and building practices. 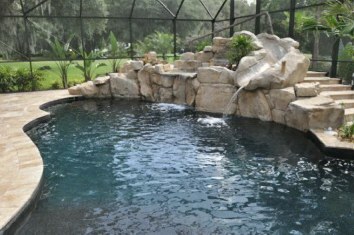 We have an outstanding staff of pool and water feature designers. We feel that our team of designers produces a pool design that is second to none; each pool has its own unique character built into it. We take great pride in being the single source of responsibility for the entire outdoor environment design and installation. Our team of designers, project managers and construction crews will make your project a reality. We customize Natural Stone / Rock Pools, Retaining Walls, Walkways, and Stone Patios to add a dramatic enhancement to any project. Whether we are constructing a small stone patio or an elaborate pool, outdoor kitchen, cabana house, pavers or travertine driveway our masonry crews will exceed your expectations with our superior craftsmanship and attention to detail. Landscape lighting is an art. It requires the ability to understand the main principles of lighting levels, elements, form, balance, transitions and texture. Blending all of these principles together to make a cohesive lighting portrait is what sets us apart from other lighting designers and installers. A beautifully lit landscape increases the value of your property and it enables you to enjoy all of its structural elements. The content found within Handfound Originals - Outdoors is copyrighted material. No part of this website may be produced or transmitted in any form or by any means, electronic or mechanical, including photocopying, recording, or by any information storage and retrieval system, without the express written consent (permission) of the owner. No portion of this website may be reproduced, including website coding, design, search engine optimization (SEO), and graphics!